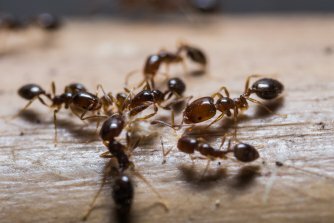 Performance Pest Management has proudly provided residential pest control services in the Bay Area for more than 35 years. As a family owned and operated company, we are committed to giving you more than just extermination services, we look to give you a quality of service that exceeds your expectations. You want your home to be pest-free, and so do we! That is why we work with you to isolate the problem and form a pest management strategy of approach that best fits you and your situation. Here at Performance Pest Management, customer service and satisfaction is of the highest importance to us. We understand the uniqueness of each job, and work our hard to produce excellent results that leave your home pest-free. For high quality pest control services give us a call today at 925-484-3400.